Yes. That was real! We know. Helicopters are not normally supposed to do that. It’s amazing! 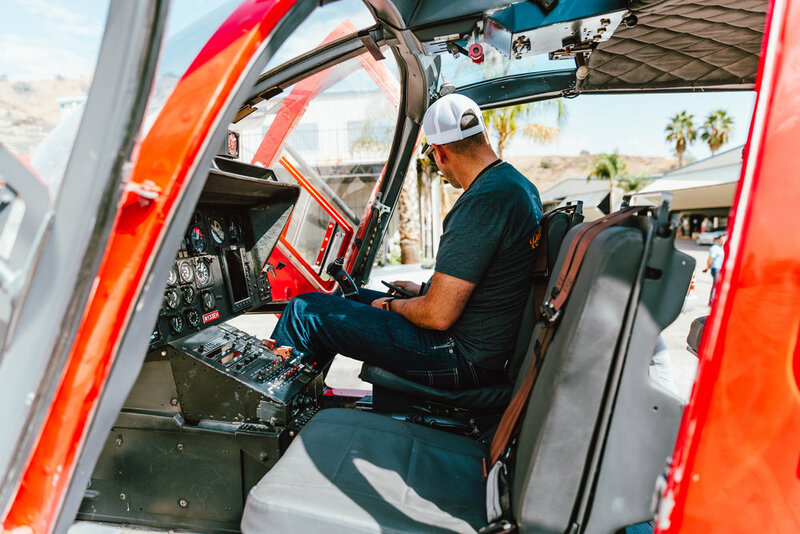 Now that you’ve seen what these pilots can do, you understand why it was AWESOME for us to visit and get an up close and personal tour of Redbull’s MBB Bo 105 Helicopter! This helicopter is made to do things that no other helicopter can do… such as fly upside down! Which is why this beast is featured at many events and air shows, but you can also view the crazy flying powers of this helicopter in the latest James Bond movie! That’s right, the last Redbull pilot, Chuck Aaron, got to fly one of his last stunts in a James Bond movie! Chuck Aaron (Aaron Fitzgerald’s predecessor), was the ONLY pilot licensed by the FAA in the US to perform these aerobatic tricks and one of just three pilots in the entire WORLD who can do it! The helicopter… the “Messerschmitt-Bölkow-Blohm Bo 105” or MBB Bo 105 for short, (which we prefer because who can pronounce that?!) is a lightweight, twin-engine, multi-purpose helicopter developed in Germany. It is the first twin-engine helicopter in the world of it’s kind to perform aerobatic maneuvers! Take a look at our gallery below to see all the pictures from our quick trip! 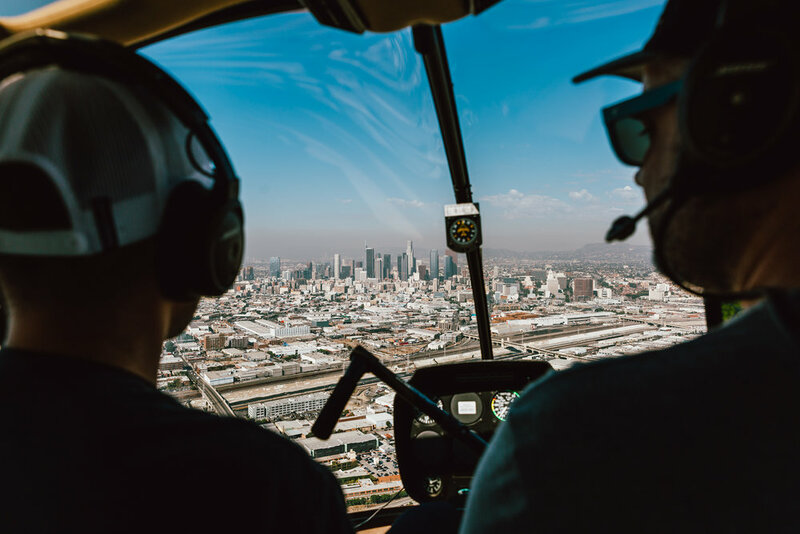 Learn more about the Redbull helicopters and their pilots here! Learn more about Redbull's new pilot, Aaron Fitzgerald here, and see him flying in action THIS WEEKEND at the Luke Days air show or next weekend at the LA County Air Show! Newer PostNew Team Member, New Us, New Pics! Older PostTake your Social Media from A to Z …Awesome to Zesty with 10 Free(ish) Apps!